I'm showing you how to make Perfect Biscuits 3 Ways using my favorite base recipe that's ultra flaky and buttery! 30 minute recipe that's so easy and fun to customize! Get my FREE BISCUIT GUIDE here! 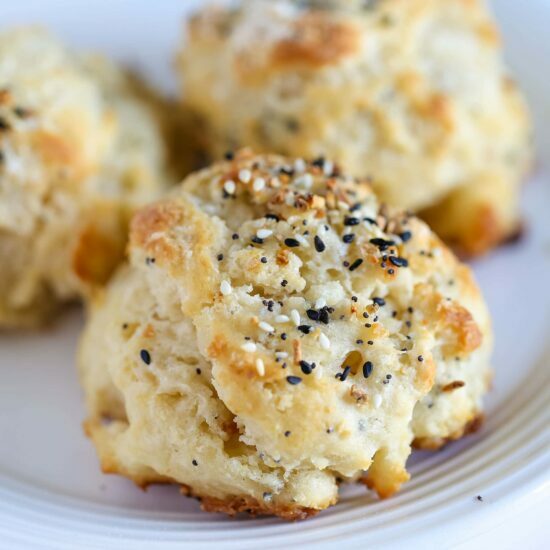 Perfect biscuits from scratch take just 30 minutes to make. They’re a million times better than store-bought ones or ones that come in a refrigerated tube. 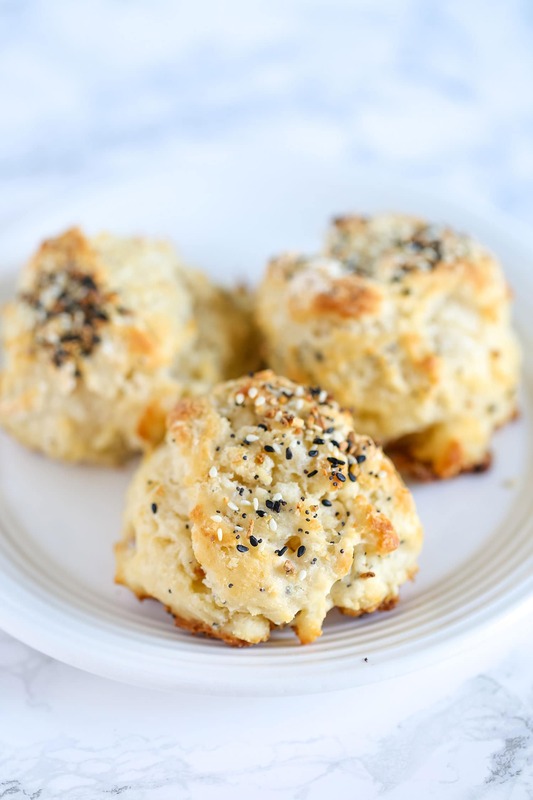 I’m showing you exactly how to make my favorite perfect biscuits in the video below. PLUS 3 special flavor variations: Everything Bagel Biscuits, Pizza Biscuits, and Churro Biscuits. But you could totally get creative and dream up even more flavors! 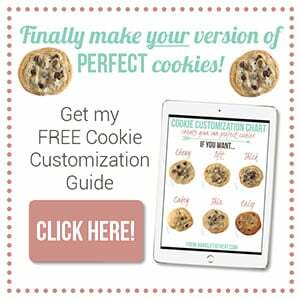 That’s actually why I created this free biscuit guide! 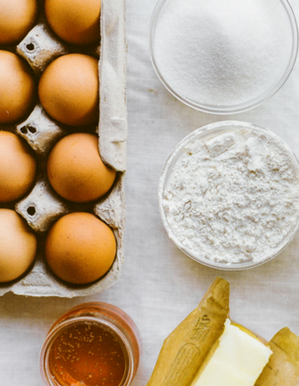 It shows you the science of biscuit baking, including why buttermilk is so important and comparisons of butter vs. shortening. It also includes even more perfect biscuit flavor ideas and directions! Do not substitute the buttermilk with anything else. You can learn more about buttermilk here or in the free biscuit guide. Bottom line: buttermilk is essential to these perfect biscuits and substitutions just don’t cut it. I know it can be hard to keep buttermilk on hand for baking, so here’s a video I created on How to Freeze Buttermilk. 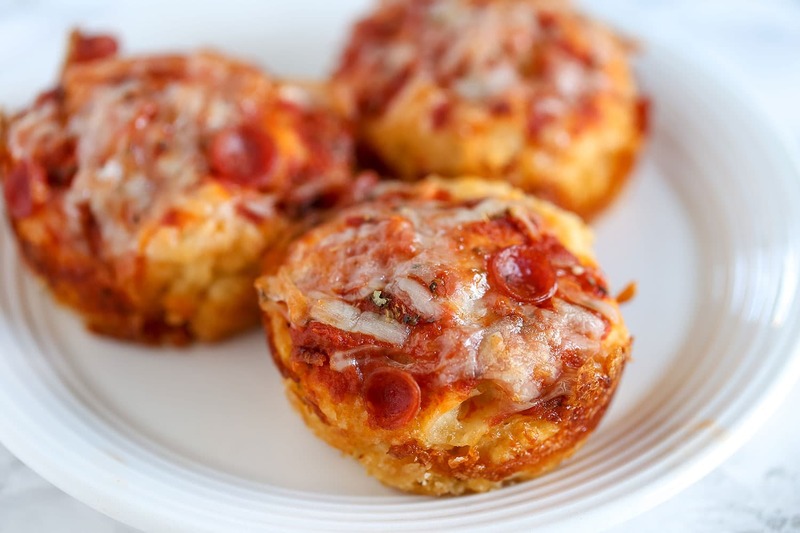 The pizza biscuits in particular are great for a special after school snack or football finger food. You can have fun with the toppings, or just keep things simple. The churro biscuits start with a slightly different base. Less salt, more sugar, and then they’re coated in a crunchy cinnamon sugar that will make your entire house smell like Disneyland! Everything Bagel Biscuits are absolutely scrumptious on their own, but they also make a great base for a breakfast sandwich! I just used the everything bagel seasoning from Trader Joe’s, but you can also make your own. Get the everything bagel seasoning recipe here. The base recipe plus flavor variations are listed down below. Place unbaked rounds of biscuit or scone dough on a parchment linked baking sheet and freeze until solid. Remove them to an airtight container and freeze for up to 2 months. Bake from the freezer, adding about an additional 5 minutes to the recipe’s baking time, or until golden brown. If you make these biscuits be sure to snap a picture and tag me on Instagram with #handletheheat so we can all see! In a large bowl, combine the flour, sugar, baking powder, baking soda and salt. Using a pastry blender, cut the butter into the flour mixture until coarse chunks remain that are about the size of a dime or nickel. The faster you do this the better, you want the fat to remain cold. Stir in the buttermilk until just combined. DO NOT overmix, the dough will be slightly sticky. Turn the dough out onto a floured surface and dust the dough with flour. Gently pat the dough out until it’s a 3/4-inch in thickness. Use a 2-inch round biscuit cutter to push straight down through the dough to cut out circles, try not to twist the cutter. Place the biscuits on the baking sheet, spacing 2-inches apart. Reform the scrap dough into 1/2-inch thickness, being sure to work with it as little as possible, before cutting out more circles. Alternatively, you can make "drop biscuits" by simply using a spring-loaded scoop to drop the biscuit dough onto the prepared baking sheet. Bake the biscuits until golden brown, about 12 to 15 minutes. Mix everything topping in with the dry ingredients. Proceed with recipe. After shaping the biscuit dough, sprinkle on more everything topping for garnish. Bake as directed above. Prepare the biscuit dough as written, but place in a greased 12-cup muffin tin or a jumbo 6-cup muffin tin. Top with the sauce, oregano, cheese, and pepperoni. Bake for about 10 to 12 minutes for a standard muffin tin, or 12 to 15 minutes for a jumbo. Reduce the salt in the recipe to 1/4 teaspoon. Add 1/4 cup of the sugar in with the dry ingredients. Proceed with the recipe through shaping. Combine the remaining 1/2 cup sugar with the cinnamon. 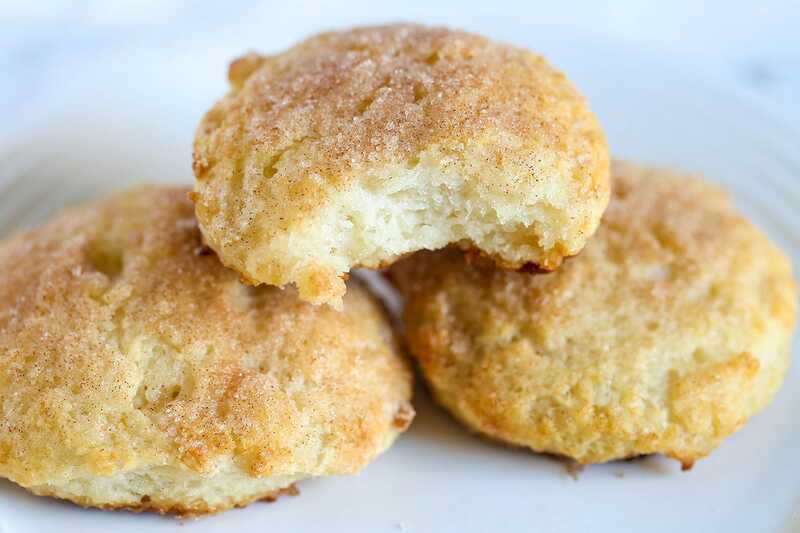 Brush the shaped biscuits with the melted butter then dip in the cinnamon sugar mixture. Bake as directed. Drizzle with melted chocolate or dulce de leche, if desired. 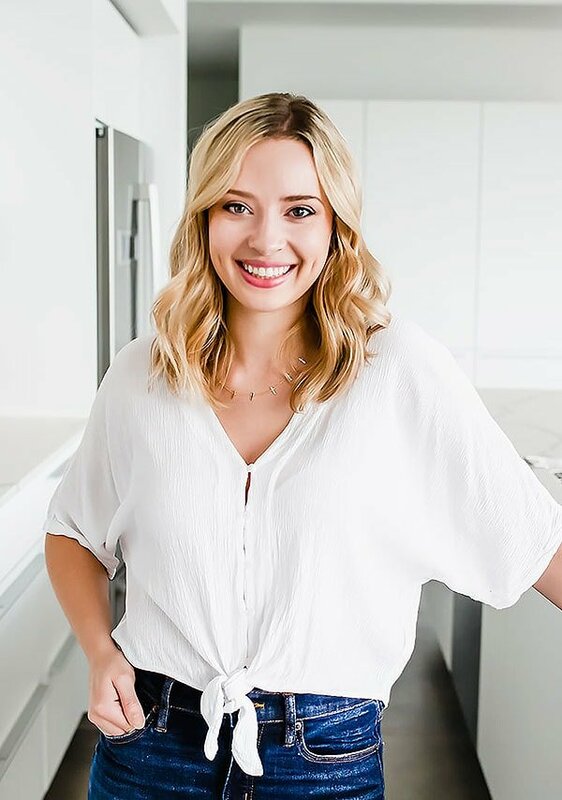 Thank you so much for sharing,please keep posting more Tessa! All the love from Nepal!